VETERAN politician, Enos Nkala, who co-founded Zanu PF and was defence minister during a massacre of ethnic Ndebele that killed 20 000 people, has died. Nkala died at the Avenues Clinic, Harare on Wednesday morning. He was 81 years old. The cause of death is still unclear. According to Newsday, the outspoken former minister was admitted at the hospital on August 7 after his family asked that he be transferred from another hospital in Bulawayo. Family spokesperson Herbert Nkala had on Tuesday revealed that the former Defence minister’s wife, Thandiwe and his children had to travel to Harare from Bulawayo to be by his side. He said the family reached an agreement with authorities at a Bulawayo hospital, where Nkala was being treated, for him to be transferred to the private clinic in Harare, where there are better facilities. Herbert, however, declined to disclose the nature of the veteran politician’s ailment saying it was confidential. There were reports that Nkala was suffering from a kidney ailment. Zanu PF, which broke away from the Joshua Nkomo led Zapu was formed at Nkala’s house in Highfield, Harare in 1963. When the party came to power after independence in 1980 Nkala served various posts in Mugabe governments, including as finance minister. As defence minister he oversaw a state-ordered crackdown by North Korea-trained forces on dissidents in the Matabeleland and Midlands provinces between 1984 and 1987. At least 20 000 people, including women and children, were killed during the massacre named "Gukurahundi", which means "the wind that sweeps away the chaff before the spring rains" in the local Shona language. 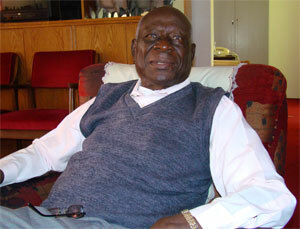 Nkala sought to exonerate himself, saying Mugabe directed the deployment of the troops. In the late 1990s Mugabe described the killings as "a moment of madness" but stopped short of apologising for them. Nkala left government following a corruption scandal in which cabinet ministers and officials bought cars for resale using special privileges. He later became a staunch critic of Mugabe's rule, but last year patched up his relationship with the 89-year-old ruler. Mugabe is set to be inaugurated for a new five-year term on Thursday after winning a disputed election last month to extend his more than three-decade rule.